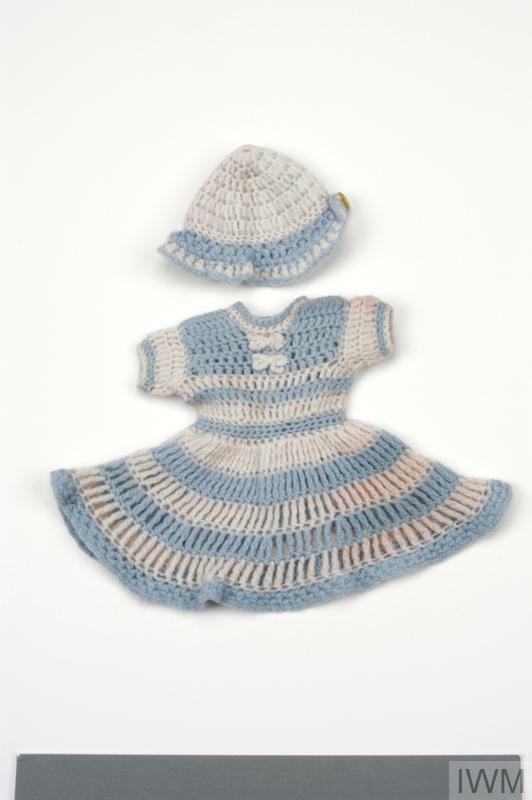 Dress & cap. 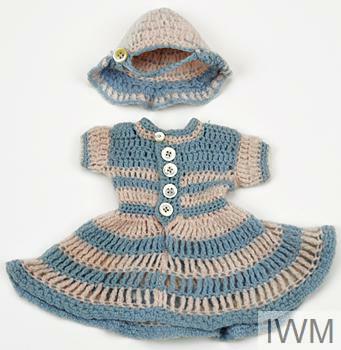 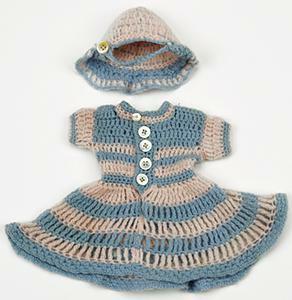 Small doll's woollen dress, knitted in a blue and pink striped pattern with 5 buttons at the front. There is also a matching blue and pink bonnet. 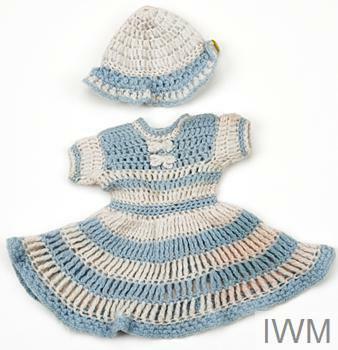 Helga Kohn-Wertheimer brought this doll's dress with her when she was evacuated from Austria on a Kindertransport.